New years bring new starts, new adventures, and of course, new construction projects. Throughout the Middle East, projects of different sectors and dimensions are making strong progress. Each year, we look forward to new hotels, developments, and skyscrapers that boost the region’s real estate scene. Of course, the top 10 Middle East projects of 2018 present us with architectural genius. Furthermore, they vary across different sectors, making 2018 a vibrant year within the region. Here are the top 10 Middle East projects that are due to open in 2018. 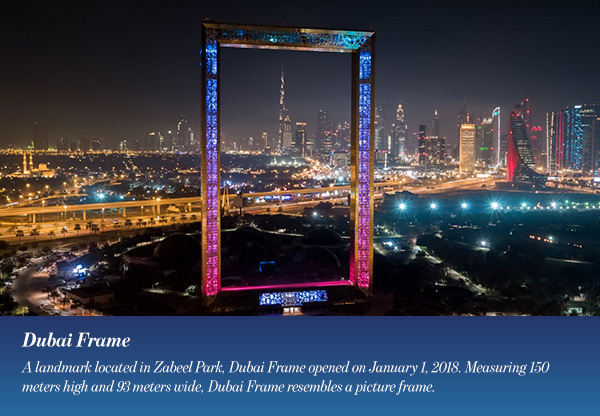 A landmark located in Zabeel Park, Dubai Frame opened on January 1, 2018. Measuring 150 meters high and 93 meters wide, Dubai Frame resembles a picture frame. The frame is positioned to allow views of both modern and old Dubai. Through it, visitors can see Emirates Tower, Burj Khalifa, Deira, Umm Harair, and Karama. 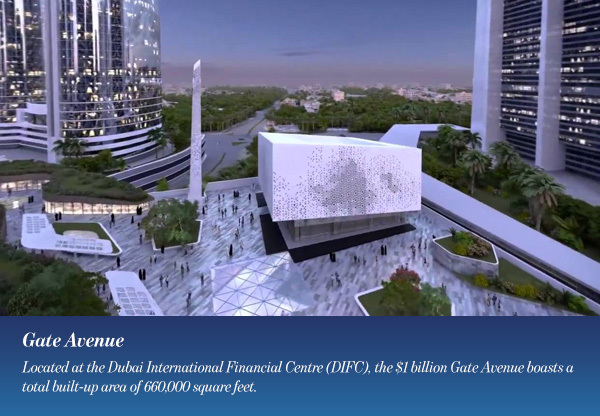 Construction on the Dh230 million architectural project began in 2013. Dubai Frame is made out of glass, steel, aluminum, and reinforced concrete. In 2009, Mexican architect Fernando Donis’ design won a competition held by the Government of Dubai. However, in a report published in UAE newspaper, The National, Donis claimed that his design was changed, breaching the competition rules. Located at the Dubai International Financial Centre (DIFC), the $1 billion Gate Avenue boasts a total built-up area of 660,000 square feet. Expected to open during the first half of 2018, the dynamic destination features over 200 prime retail locations and three zones. The South Zone provides lifestyle, health and leisure categories, kids’ edutainment, family recreational activities and F&B for residents and visitors. As for the Central Zone, it includes dining venues ranging from indoor restaurants to al-fresco eateries. It also features high-street retail, fashion and beauty brands, and convenience stores. Extending from the Marble Walk at the Gate building, Gate Avenue’s North Zone boasts high-end stores selling premium fashion, luxury watches, and accessories. Located in the Downtown Jebel Ali area in Dubai, Aura Residence is due for completion during the last quarter of 2018. 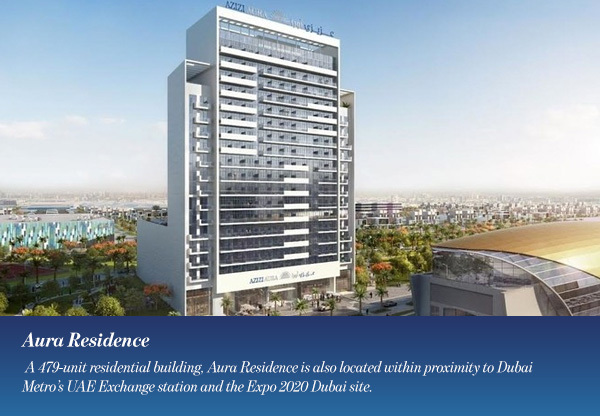 A 479-unit residential building, Aura Residence is also located within proximity to Dubai Metro’s UAE Exchange station and the Expo 2020 Dubai site. The 17-story building features 347 studio apartments, 87 one-bedroom apartments, and 43 two-bedroom apartments. Developed by Azizi Developments, Aura Residence promises residents luxurious and comfortable living. The building’s sleek and unique appearance makes it one of the top 10 Middle East projects of the year. Making its debut in the Middle East, ME by Meliá is expected to open by the end of 2018 in Dubai’s Business Bay area. 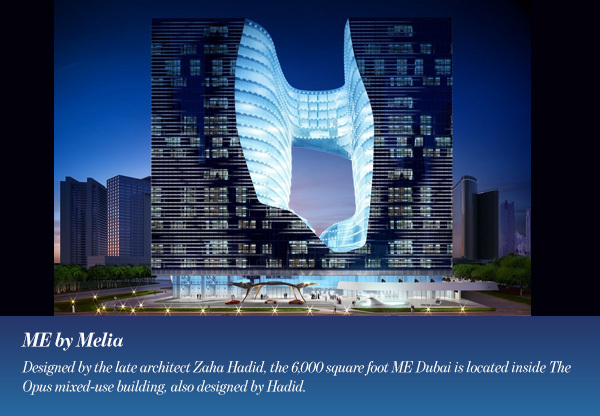 Designed by the late architect Zaha Hadid, the 6,000 square foot ME Dubai is located inside The Opus mixed-use building, also designed by Hadid. With by the late architect Zaha Hadid, the hotel also includes 98 serviced apartments and an exclusive room called the ‘Suite ME’. Furthermore, the five-star hotel boasts signature furniture in the lobby, vertical café, lounges and reception area, all of which were designed or selected by Hadid. The ME by Meliá is the only hotel project that Hadid designed both internally and externally. That alone earns the hotel a spot in the top 10 Middle East projects due to open in 2018. Located 500 meters off the Jumeirah Beach Residence coastline, near Dubai Marina, in Dubai, Bluewaters Island is scheduled for completion during the first quarter of 2018. 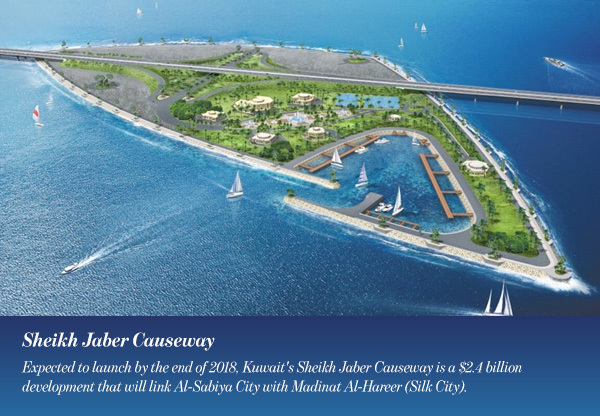 The artificial island will include a boulevard, retail, dining, leisure and entertainment venues, and two hotels. Construction on the $1.6 billion project began in May of 2013. 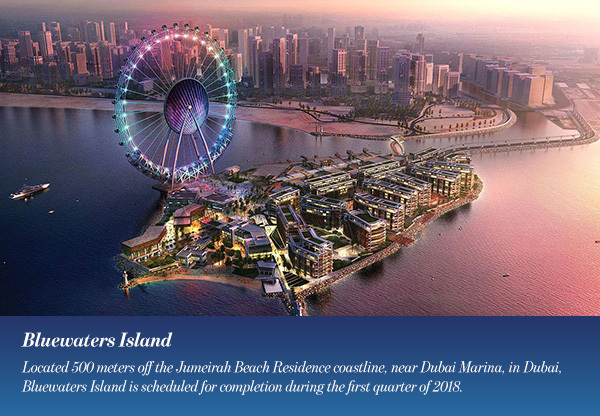 Bluwaters Island will feature the $270 million Dubai Eye. A 210-meter tall giant Ferris wheel, Dubai Eye will be the tallest and largest observation wheel in the world. Carrying up to 1,400 passengers in its 48 capsules, the Eye will offer views of Burj Al Arab, Palm Jumeirah, and Burj Khalifa. Moreover, its base will be used as an entertainment zone. An 80-meter LED screen will be placed on the wheel and used for broadcasting, advertisements, and other information. 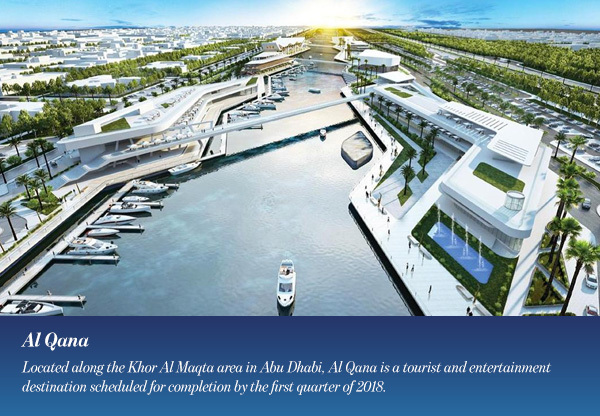 Next on 2018’s top 10 Middle East projects is Al Qana. Located along the Khor Al Maqta area in Abu Dhabi, Al Qana is a tourist and entertainment destination scheduled for completion by the first quarter of 2018. Developed by the Municipality of Abu Dhabi City in partnership with Al Barakah International Investments, Al Qana also includes a 5,000-square-metre aquarium and the city’s largest cinema. Furthermore, it features residential and retail units, a family entertainment center and a marina club. As well as a sports center, restaurants, picnic areas, and community shops. In addition to walk path connected by four bridges and running and cycling tracks. 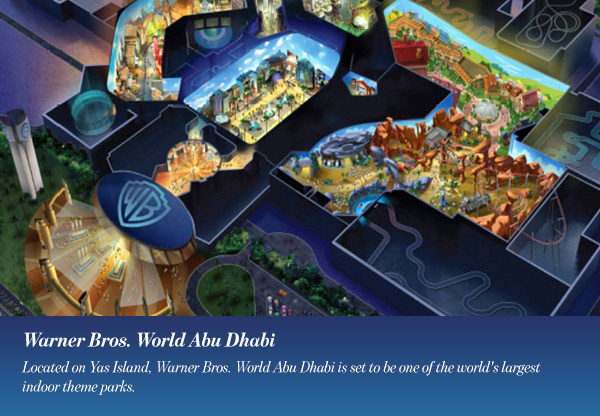 Located on Yas Island, Warner Bros. World Abu Dhabi is set to be one of the world’s largest indoor theme parks. With an area of about 153,290 square meters, the park features six lands: Warner Bros. Plaza, Gotham City, Metropolis, Cartoon Junction, Bedrock, and Dynamite Gulch. The park will also feature 29 rides, shows, and attractions upon completion. Developed in partnership with Warner Bros. Consumer Products and DC Entertainment, the park will offer a variety of dining options and retail venues. According to the developer, almost 5,500 specialist engineers have worked on the project that is still under construction. The much-anticipated theme park is definitely one of this year’s top 10 Middle East projects. 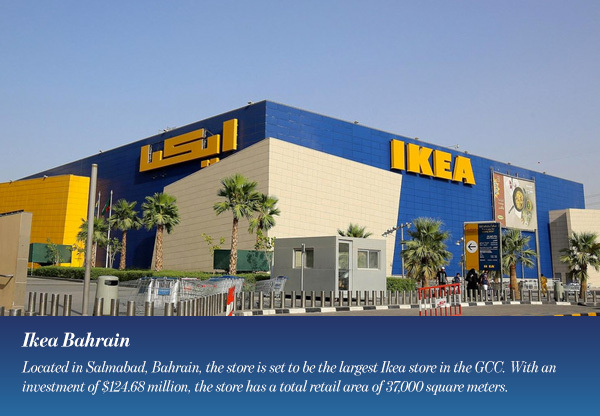 Located in Salmabad, Bahrain, the store is set to be the largest Ikea store in the GCC. With an investment of $124.68 million, the store has a total retail area of 37,000 square meters. Scheduled to launch in by mid-2018, Ikea Bahrain is being opened in partnership with Saudi Arabia’s Al Sulaiman Group. Ikea Bahrain will boast a 6,200 square meter showroom, a 6,000 square meter market hall for accessories, 5,000 square meters of self-service space, and a 4,000 square meter full-service area. In addition to the biggest restaurant in the Kingdom with 800 seats over an area of 2,500 square meters. The store will have more than 1,100 parking spaces on two levels. It is expected to welcome more than 1.2 million people every year. Expected to launch by the end of 2018, Kuwait’s Sheikh Jaber Causeway is a $2.4 billion development that will link Al-Sabiya City with Madinat Al-Hareer (Silk City). The 36-kilometer bridge will reduce travel time from 60 to 15 minutes. Moreover, as one of the longest cross-sea bridges in the world, it is part of Kuwait’s 2035 Vision. The Signature Cable-stayed Bridge will also include a Visitor Center and Causeway Main Administration & Management Building for MPW located on the Shuwaikh side. Furthermore, the development features two artificial islands of 30 hectares; one on the northern side and the other on the southern side of the bridge. The islands will be home to maintenance and traffic emergency buildings, fueling stations and marina facilities. 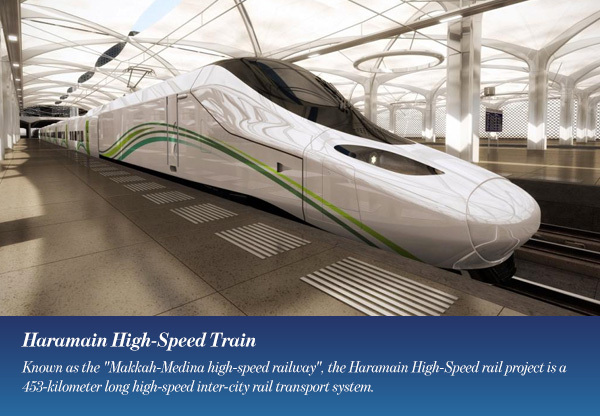 Known as the “Makkah-Medina high-speed railway”, the Haramain High-Speed rail project is a 453-kilometer long high-speed inter-city rail transport system. Linking Makkah and Medina, the train will also make stops at Jeddah, King Abdulaziz International Airport, and King Abdullah Economic City in Rabigh. While it has been under construction since 2009, the railway is expected to begin operations in March 2018. Traveling at a speed of 300 kilometers per hour, the Haramain High-Speed rail aims to transport 60 million commuters annually. Furthermore, the Saudi government has announced plans to link the train to other railway lines and to the Jeddah Islamic Port in the future.